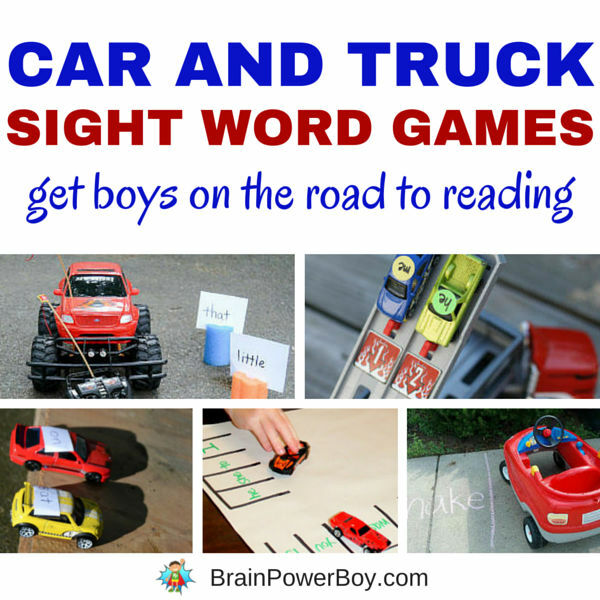 Using Car and Truck Sight Word Games is a wonderful way to get boys moving. They learn while they are playing and that is the best way to learn by far. 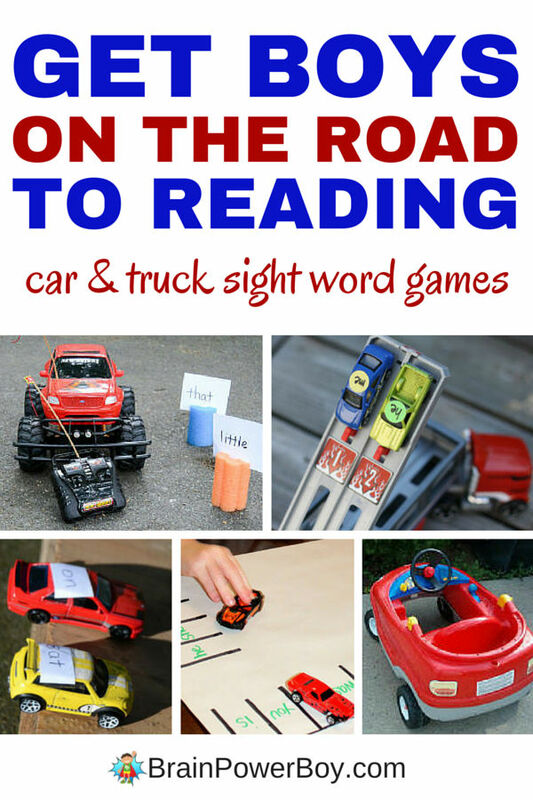 From driving to drag racing to remote control cars and trucks you are going to find a lot fun vehicle sight word games here. Sight Word Drag Racing looks like a blast. This game includes a free printable drag race bracket as well. Launch your cars to see which word wins. Play Monster Truck Sight Word Mash! This game involves blown up paper bags and toy monster trucks. You find the word, read it and have a lot of hands-on fun. Break out the Hot Wheels and get ready to play a Sight Word Parking Lot Game. This game is great because the board is very easy to make and you can use the words your boy really wants to learn. Drive to the Sight Word uses remote control cars or trucks. What boy wouldn’t love that?! Pop over to see how they did it. Can’t get much more hands-on than driving your car right into the parking spaces marked with words! Sight Words Parking Lot. Sight Word Races gets two cars racing on a ramp. You could do a lot with this fun one. Another version that uses remote control cars is Car Sight Word Knockdown. It features words that you run over. Super! I like that it has a bit of hand-eye coordination thrown in as well. That should keep your vehicle fan busy! Learning to read doesn’t have to be tough at all and playing around with words is a great way for boys to try out some reading in a relaxed and playful way. Arrr! 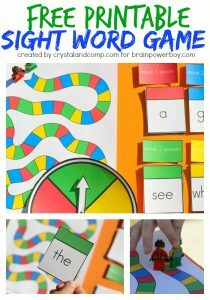 Play These Fun Pirate Sight Word Games! Action Sight Word Games for Boys Who Have to Move! Getting kids up and moving is a great way to get them excited about learning. There are so many fun car activities here to work on sight word games! Great collection! I did a lot of vehicle-type sight word games with my son a few years ago. I wish we’d thought of a few of these! Thanks for sharing with the #made4kids linkup again last week. Learning seems to come easy when it’s fun and they think they’re playing. I love games like this, especially the parking lot game. I think my daughter would even like this. Hi,shiela I’m very thankful for these games cause my kids feel much boring .we are asylum seeker here so kids don’t have school.they have good opportunity to learn.thanks. I am so happy to hear that these are helpful to use with your children. Best wishes!